Like Working Designs, EA decided to have some disc art variant fun. 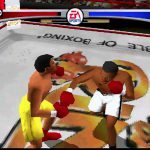 Each of the 4 boxers were EA exclusive licenses, so EA gave them each their own disc, and than a group shot. Disc insertion was random, but the manuals and inserts are all the same. Oscar De La Hoya’s disc is the first in the series, with the rest listed below in sequential order. 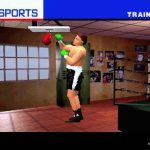 In late 1998, the PlayStation was enjoying one hell of a good life, with titles such as Parasite Eve, Final Fantasy VII, Spyro the Dragon and more tearing up the retail sales charts. 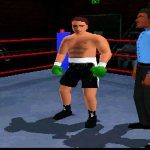 For the hundreds of games that the system was already supporting, among all those genres there was one peculiar genre that hadn’t been fulfilled until 3 years after launch – boxing. 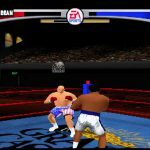 Electronic Arts would be the first company to enter the square circle, beating Sony to the…literal punch…by only a few months. 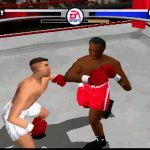 Their prize fighter Knockout Kings debuted with 38 fighters, including giants like Muhammad Ali, Oscar De La Hoya, Evander Holyfield, Sugar Ray Leonard and more. 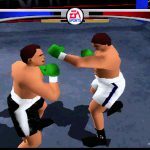 The four mentioned fighters were also EA Sports exclusive licenses at the time of release, meaning no one else could have them for the time being. 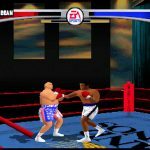 Along side the exclusive fighters, EA Sports also brought on several ringside guests as well, with Jimmy Leno Jr for ring announcements, Al Albert and Sean O’Grady as the announcers, and the ever amazing Mills Lane as your coach. 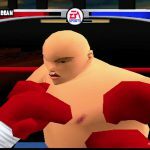 So with an amazing cast of characters, how does the actual game hold up? 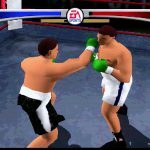 For being their first try as the genre in the 32-Bit era, Knockout Kings is fairly admirable in many of its nooks and crannies. 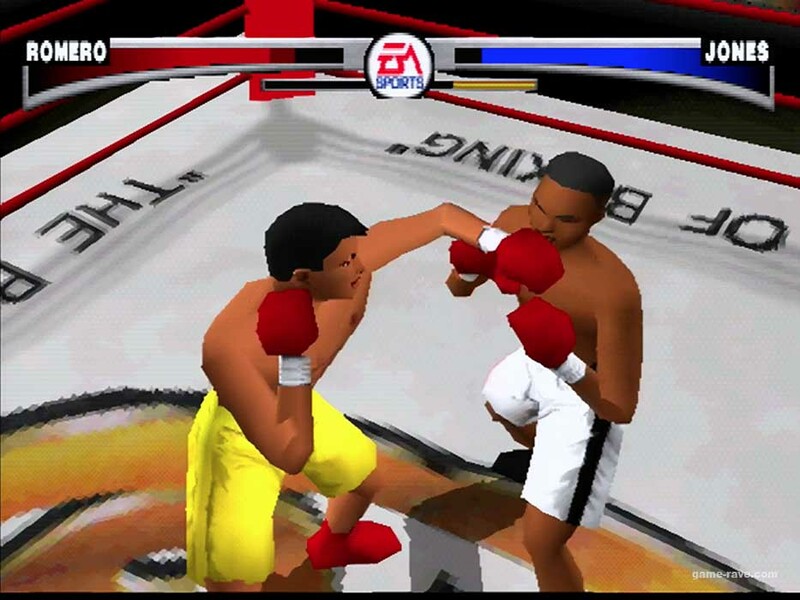 Pushing through the crowd of real world boxers into the main menu, the game offers up Slugfest, Exhibition, and Career Mode. 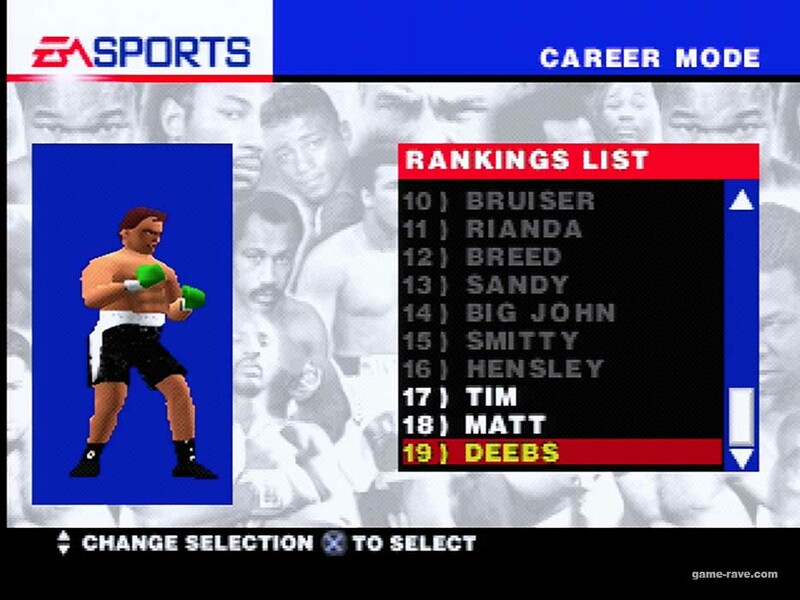 I’ll start with the first two, Slugfest and Exhibition Mode. 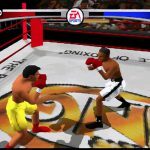 The latter is exactly what you think it is – you pick a fighter, then let a friend or the computer pick a fighter, and you properly duke it out like gentlemen. 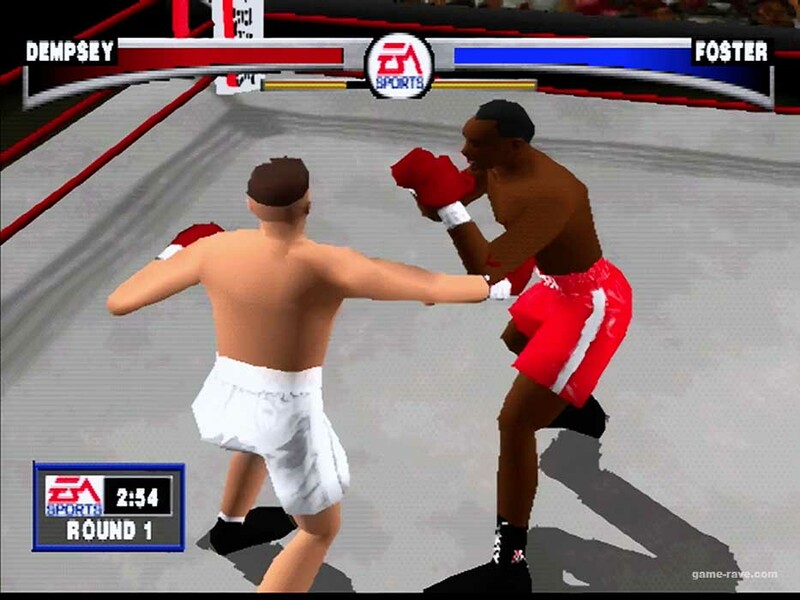 Full rules, regulations, and penalties apply here, so if you throw a kidney punch, you’re going to get yelled at or worse. 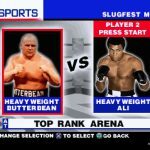 Slugfest is for the Street Fighter and Mortal Kombat fans peeking in from the hallway. 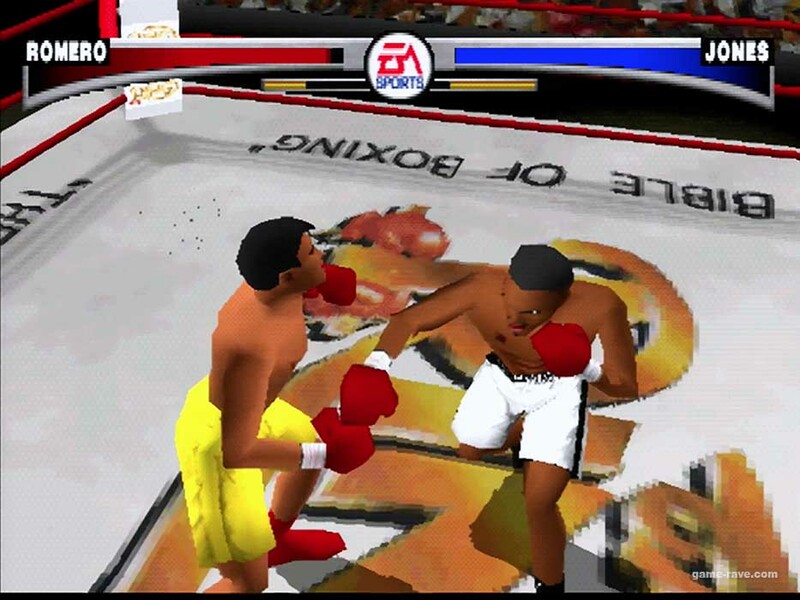 Players may pick their fighters as usual, but the rules, rounds, and regulations are thrown out. 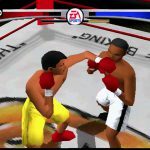 Gamers have one to five chances to get in as many hard knocks as possible, with the winner being determined by knock out or undisclosed split decisions. 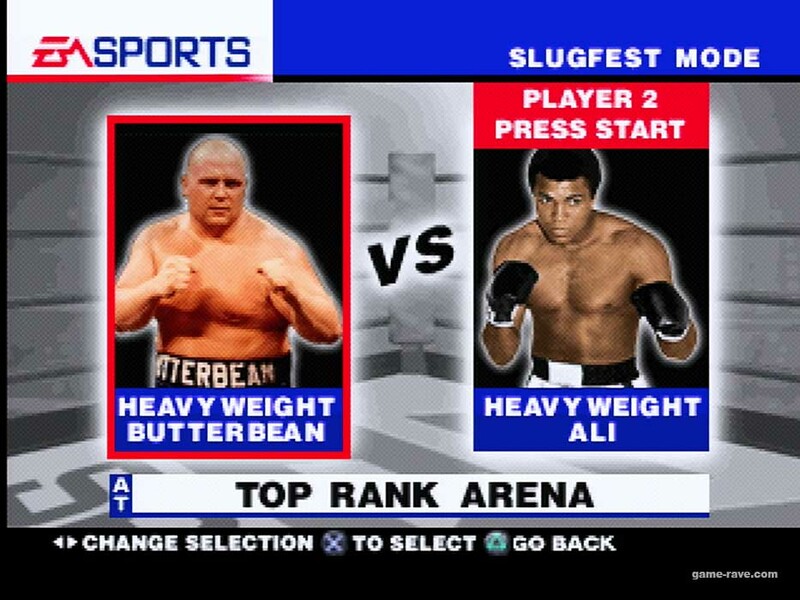 With sound effects and damage also cranked up for a more arcade style presentation, Slugfest is a pretty fun and excellent break from the more technical aspects of the simulation side. 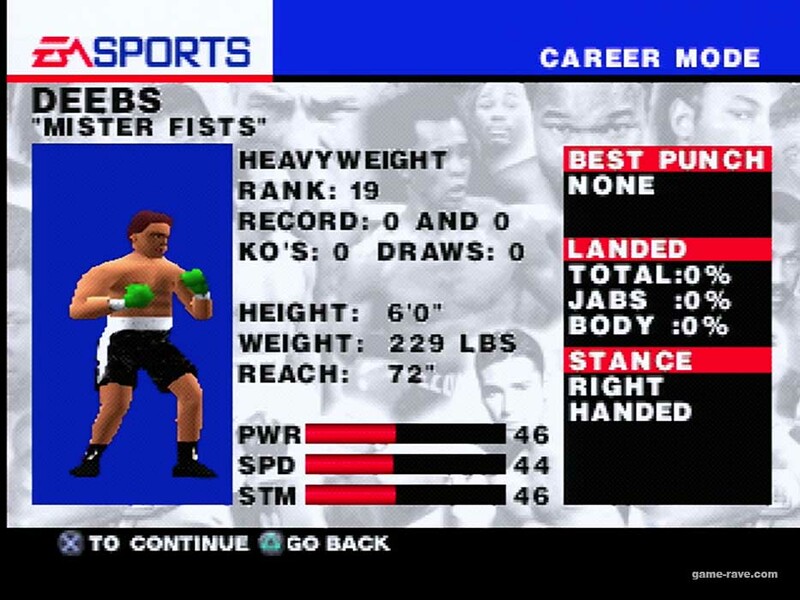 As a bonus, the fighter players can create for career mode will be uploaded into Slugfest along with their sparring partner’s creation. It’s a great way to practice in-game moves and get timing down, but we’ll dive into that a little later. 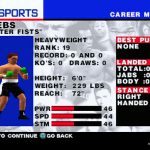 Having just now mentioned it, let’s discuss career mode. In full transparency, I started this review expecting to be bored out of my mind 3 fights in and just call it a night, but there’s some pretty good meat on these bones. 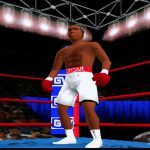 Contenders begin their career by first creating a boxer – that’s right, it’s your avatar in the ring, not one of the featured boxers. 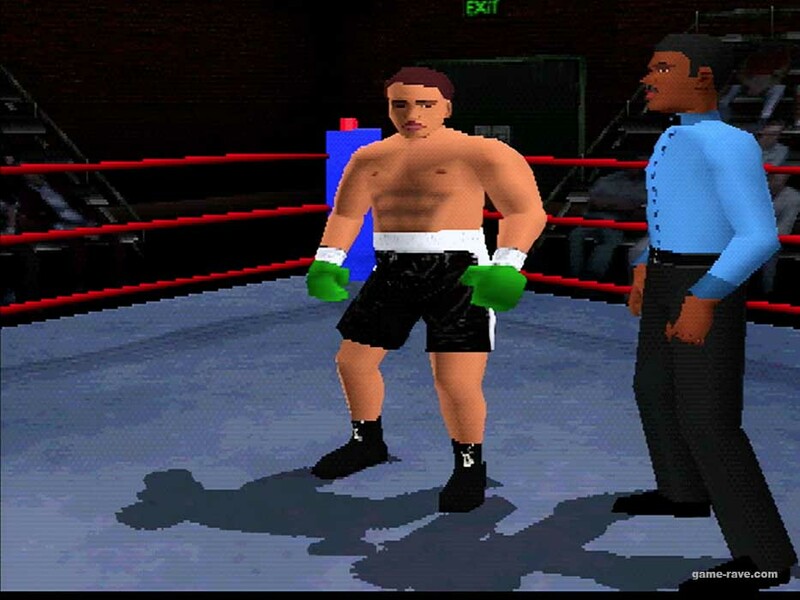 After a sparse set of characteristics to change, players are presented with their first pre-fight training session. There are 3 key stats to work out – power, stamina, and speed. 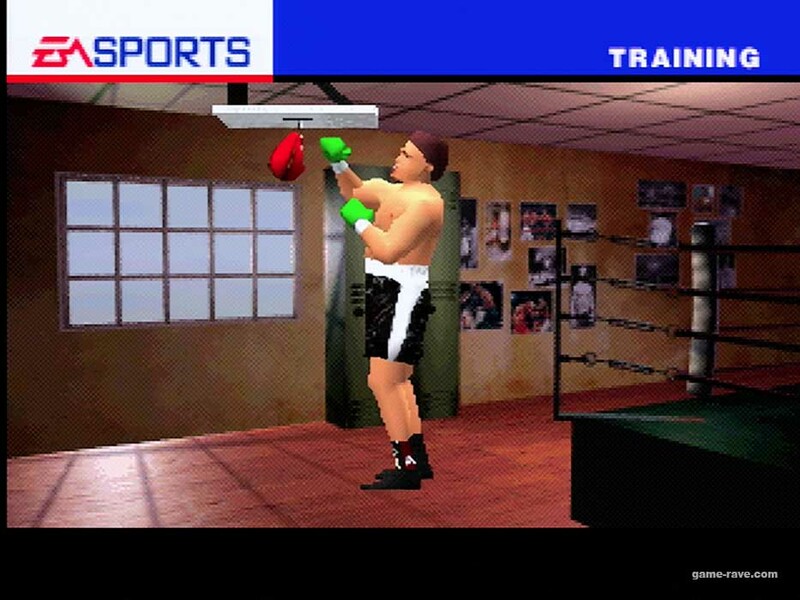 Selecting the speed bag will boost speed and stamina, while choosing the hanging bag will upgrade the power and stamina. Once that’s done with its animation, it’s off to the bottom of the list. 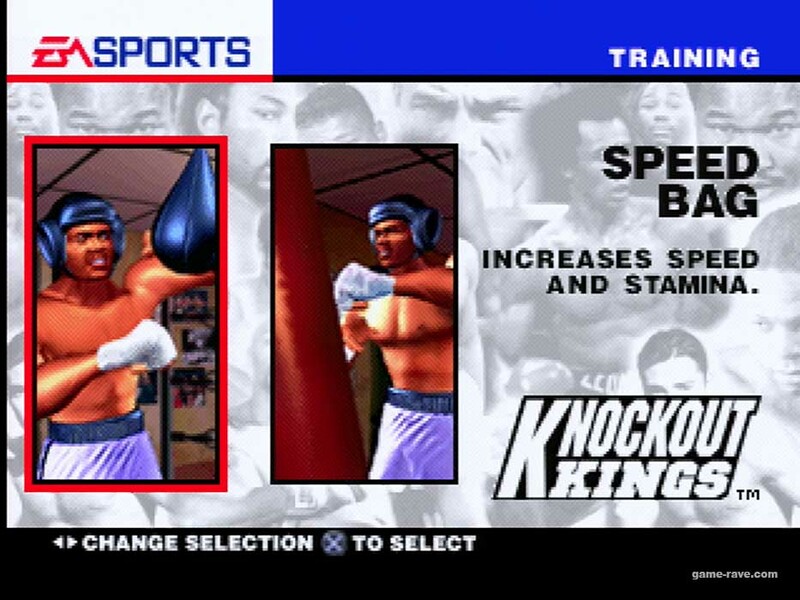 Knockout King’s match climb offers a nifty little touch here in that fights can be skipped, the trade off being less training points to spend between rounds. If victorious, the winner leap frogs ahead. 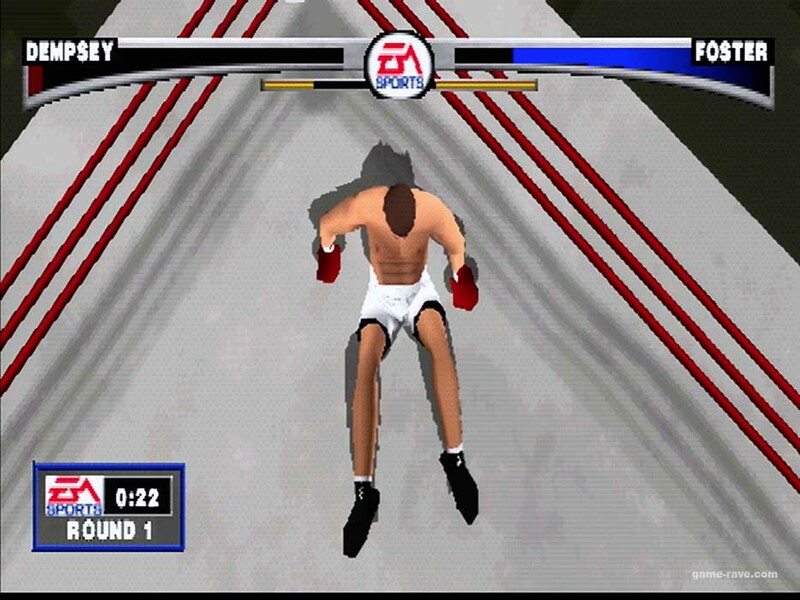 If defeated, the player tumbles back down the standings. 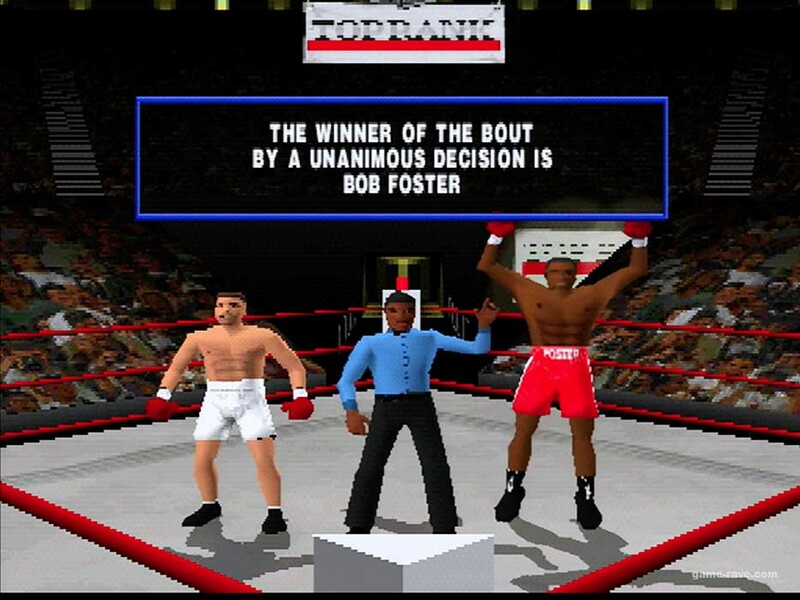 After each fight you’ll get a newspaper headline discussing your fate as well as learning of at least one other boxer on the circuit. 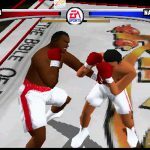 The fights through the standings continue until reaching the number one spot against the reigning champ. 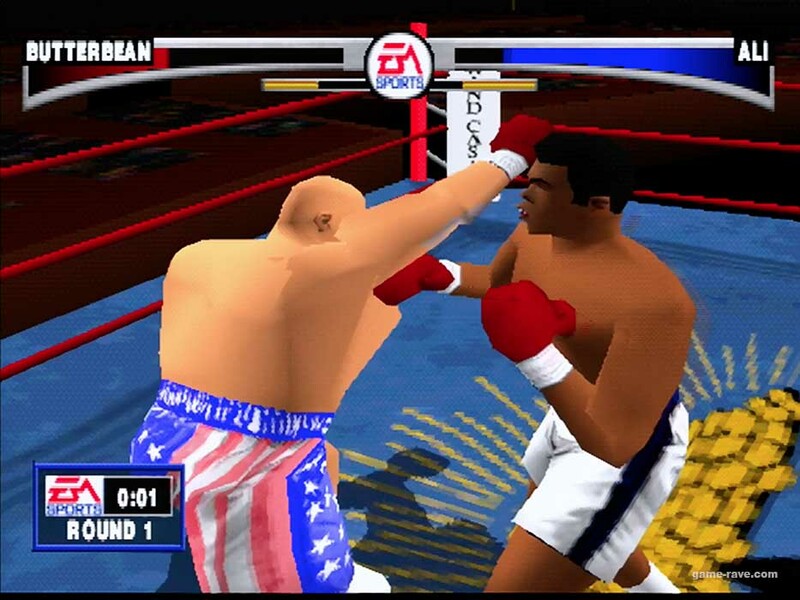 This time players face off against a real athlete, and if successful, the game really does treat them like the champ. 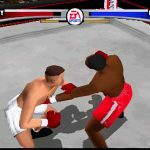 Upon claiming the number 1 spot, other real life boxers will challenge the position. 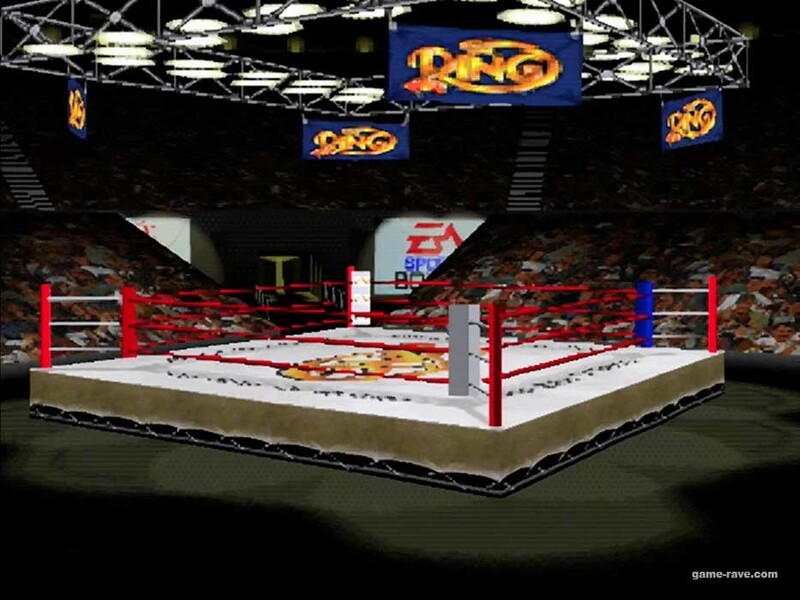 The amazing difference here is that since the player is the new champ, they’ll now get the red corner as well as the cinematic walk-in to the ring. 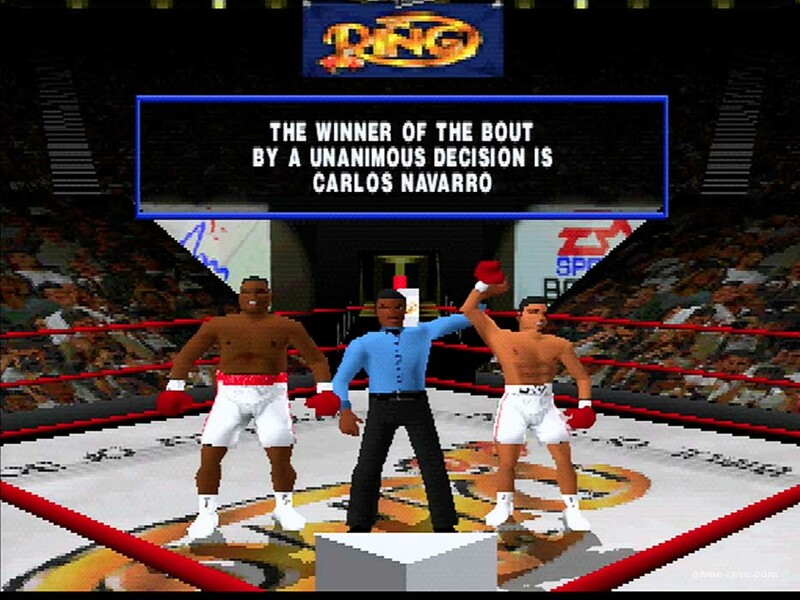 It’s a hilariously awesome feeling the first time it’s on screen, because it now means the game is playing against the gamer, as if they were the final boss of the game. 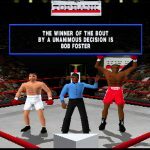 The broadcasters comments will even change to call them the champ rather than just nameless replies and observations. 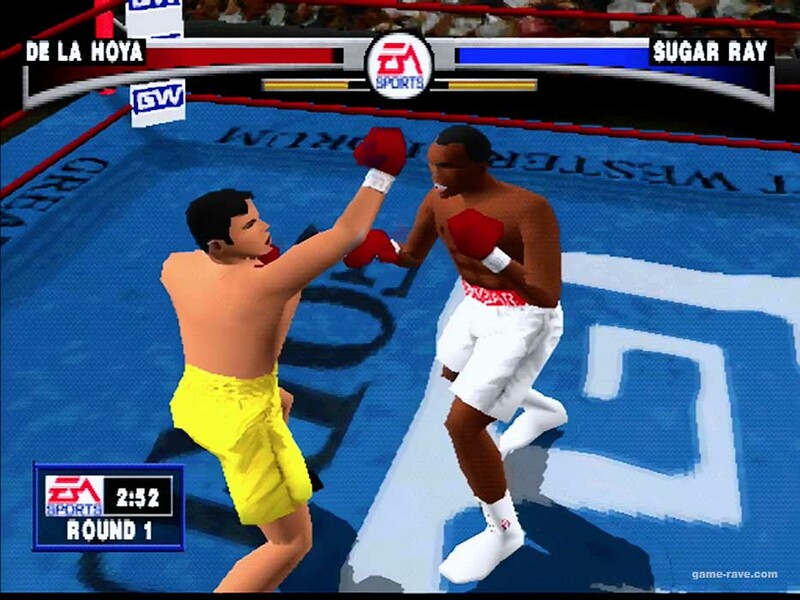 Once the last contender is…crowned…the player is officially crowned the world champ, and the game treats you to a behind the scenes film reel showing off Sugar Ray Leonard and Oscar De La Hoya playing the game at E3, as well as some gag reel type moments with the dev team. Here’s where things get really interesting – there is no game plus, in reality, there’s no game anything after winning. 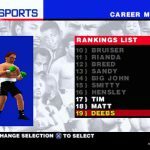 The created character is permanently retired from career mode. 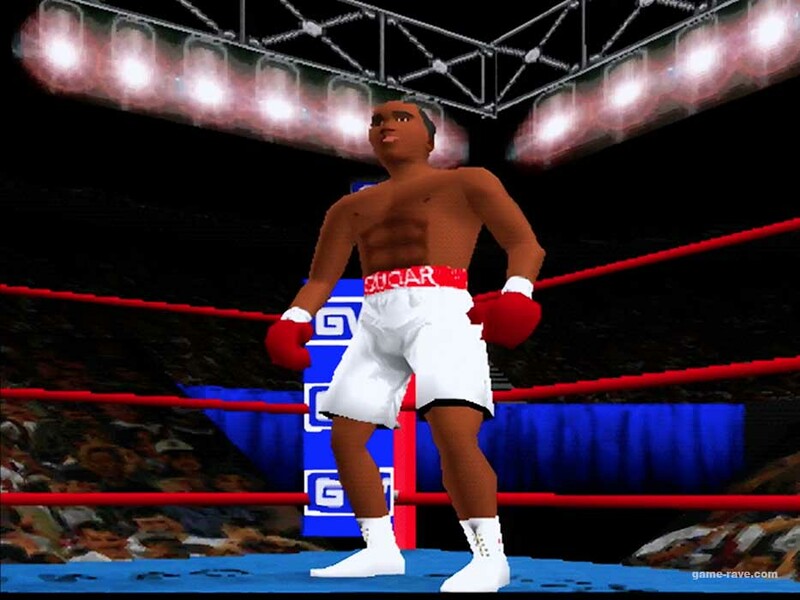 They can be loaded into versus mode, but his days in competition are over. 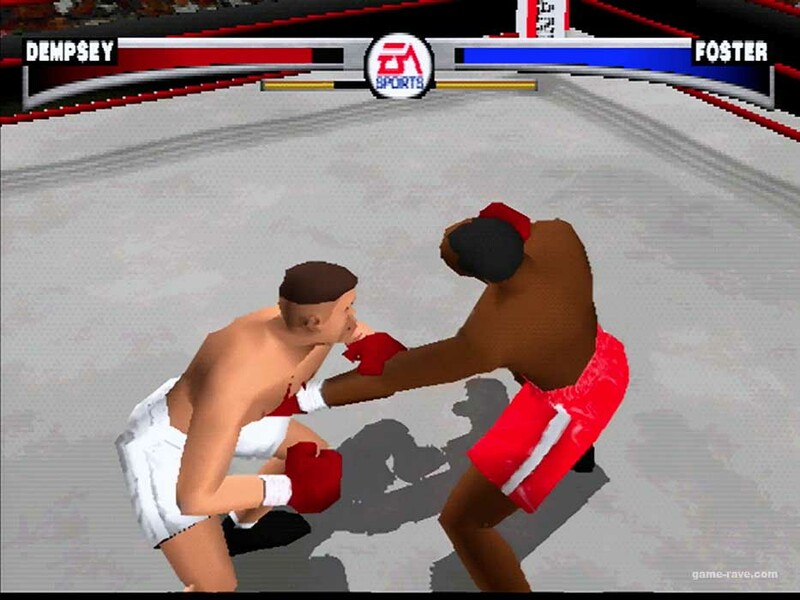 It’s a unique take that forces the player to really start from scratch on their next play-through, as well as open up creating a legion of different style boxers to upload into versus mode. 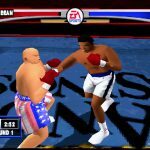 So with those game modes in play, how do the actual parts of the game compete? 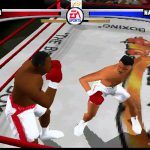 Diving into the graphics, Knockout Kings does a bang-up job here. 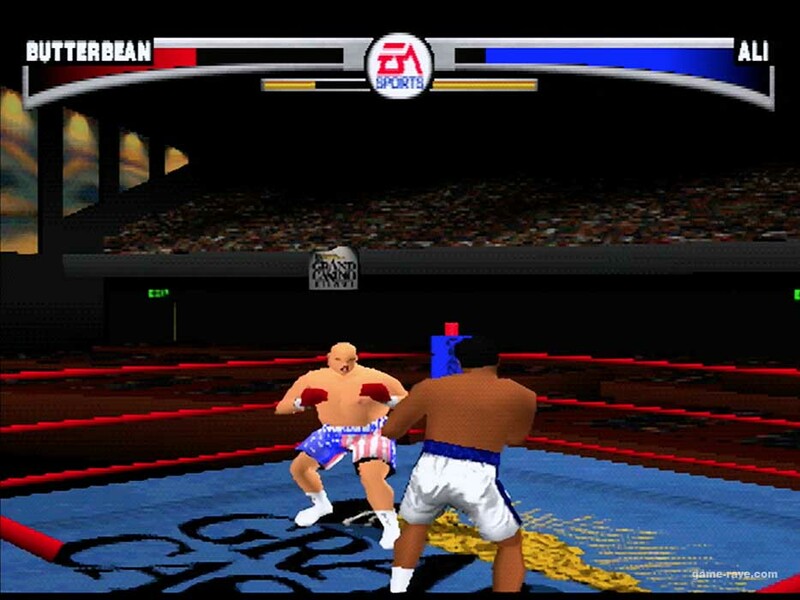 Late 1998 was when developers were finally stretching the hardware in directions it didn’t know it could go. Here we have large, well detailed fighters complete with their matching shorts and color combinations. 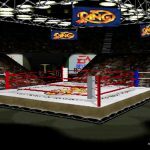 The few boxing rings included are all unique in their designs, and help make the feel of rising up from the local gym to Madison Square garden that much more pure – even your training room changes. There are also some amazing little touches that one wouldn’t have thought to see in the first try of a new genre. 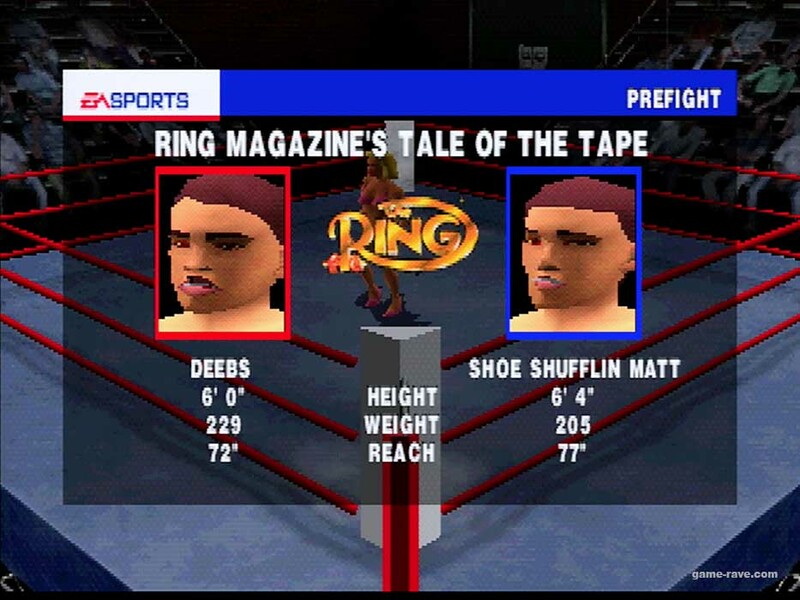 The ring girls who announce the rounds change each time, and if one knocks out the opponent hard enough, players will see their mouth guard go flying. There are different referees based on how far up the ranks you are. 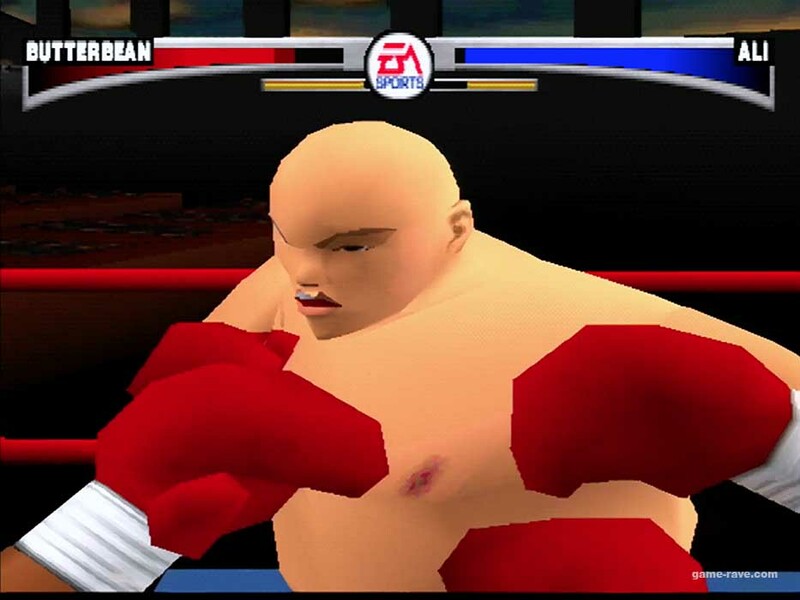 During the fight, the contenders will actually take visible damage, including black eyes, cuts, and bleeding. 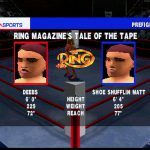 The announcers will even make mention of them. These little attentions to detail make up for some of the more oddball design choices, like how the crowd humans are realistic looking and larger than the in-game graphical characters. 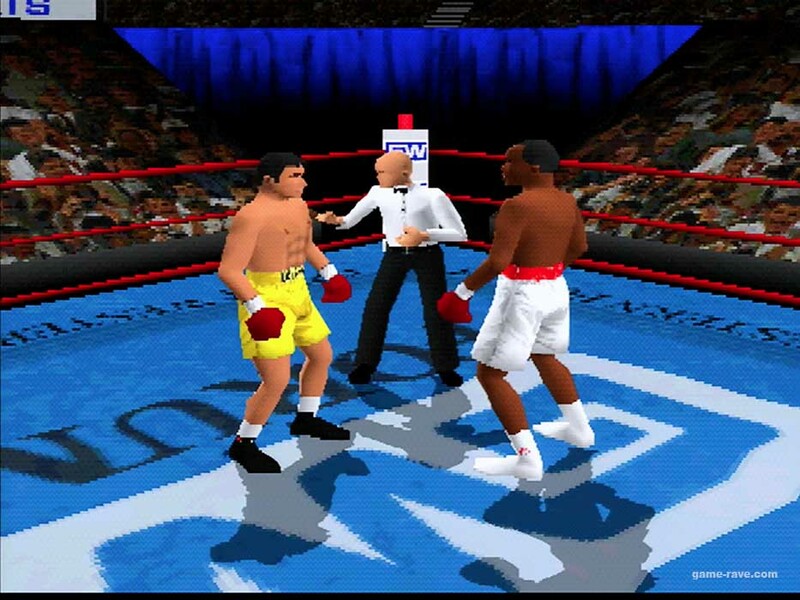 Over all the graphics do a damn fine job, and if outputting the PlayStation through an upscaler, they’re extremely clean. Sound is split between the the voice-overs and the white noise, both of which do decent jobs. 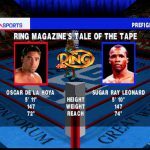 The announcers only have so many lines recored, but they’re record for every boxer and then champ and challenger designations. By the time boxers reach the championship fight, they’ll have heard everything they have to say. 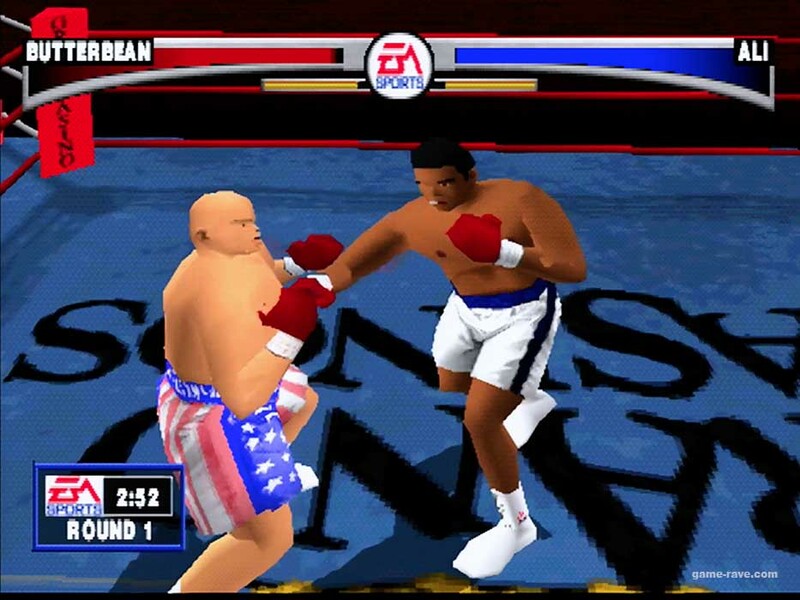 Mills Lane, while awesome, sounds garbled when in the training room sequence. 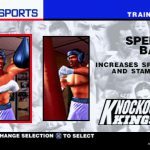 The punches sound fine, but if you’re too used to Slugfest mode, or even other actual fighting games, the lack of exaggerated hits throws off your timing and comprehension. 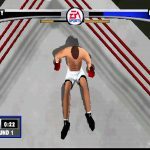 I found myself constantly looking at the health bars to confirm my hits were actually landing. I know this is trying to be a simulation, but sometimes you need to be just a little bit more video-game-like in the execution. Regretfully, the only place the game falters is in the actual control. 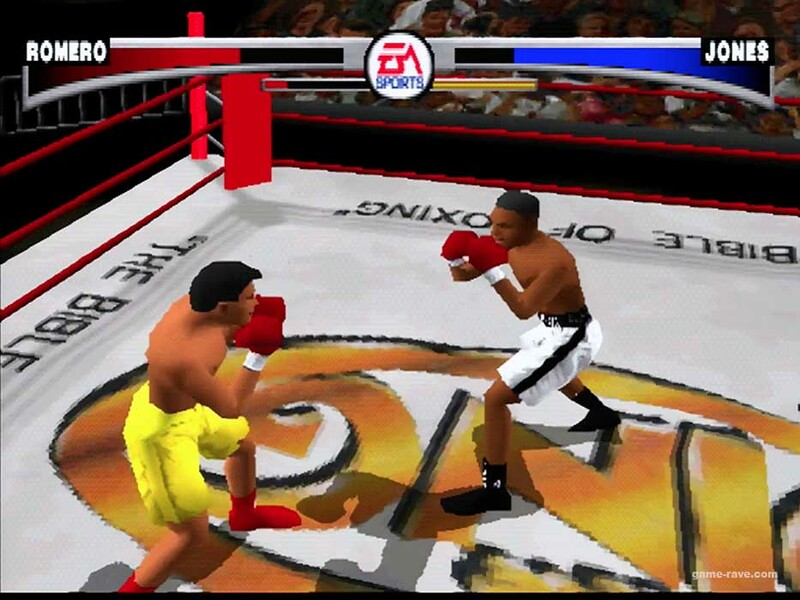 The thumb buttons are a body punch, an uppercut, and then square and circle act as your left and right hand. 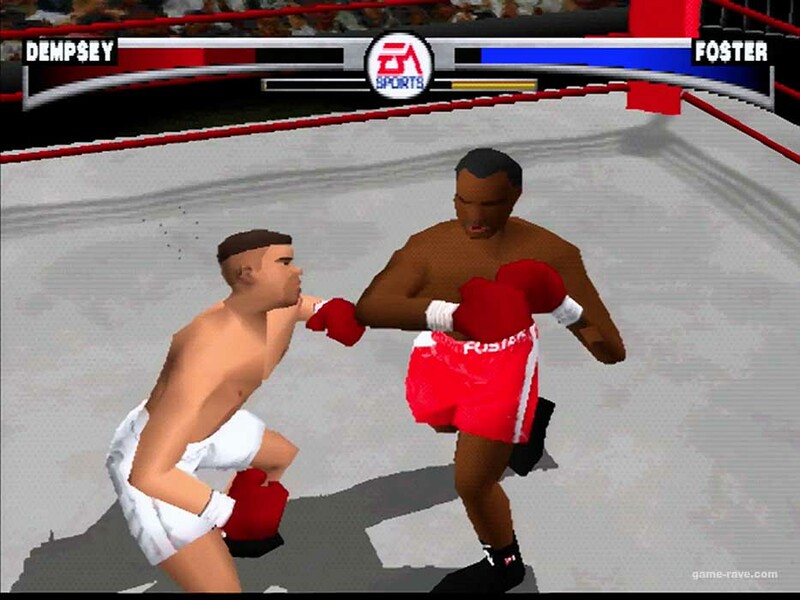 Using a shoulder button in combination with the thumb buttons can create combos, illegal hits, which are combined with punches determined by your distance to the other boxer. 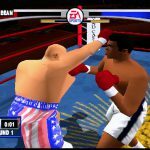 Knockout Kings makes two mistakes here, and it costs the game a better ranking. First, the controls are a bit sluggish. Trying to change the stance feels like it takes days, while trying to find the right distance between you and the opponent takes more time that it should. 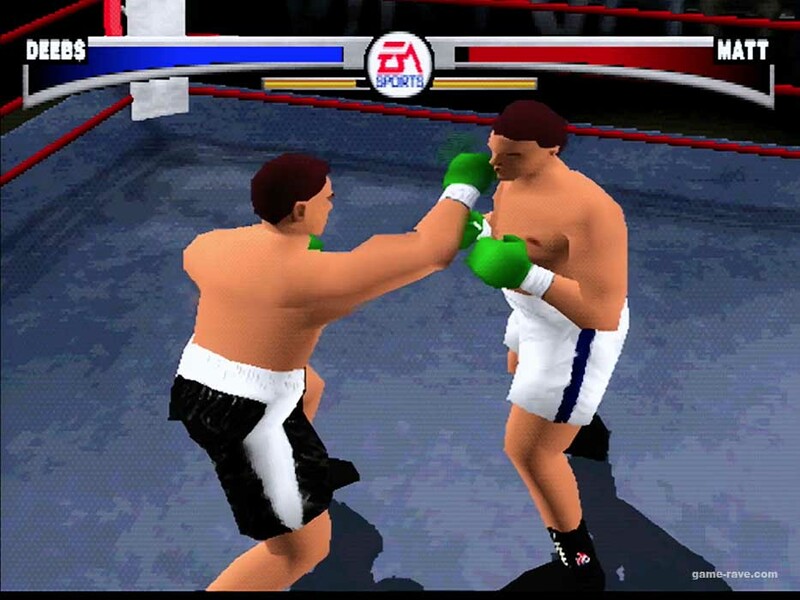 Too often I found myself just punching their elbows or watching the animation stop mid-way since it has nowhere to go. 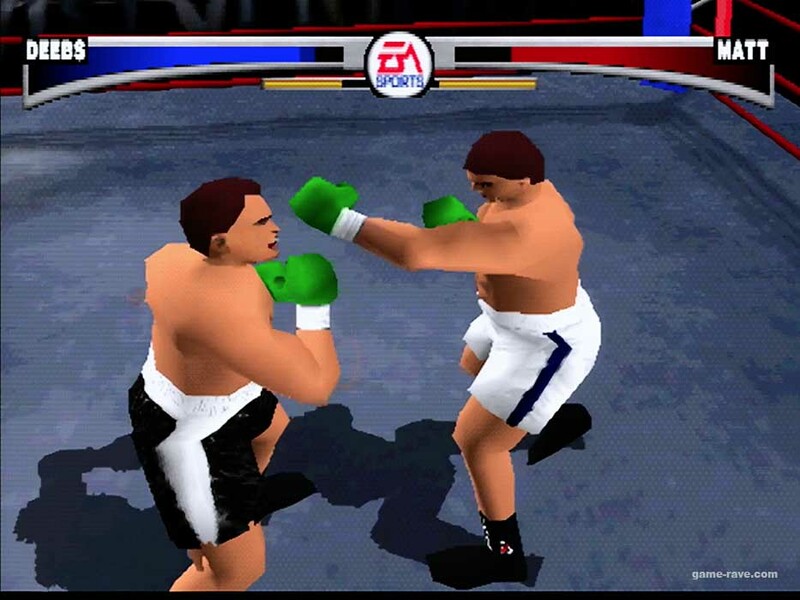 Second, the uppercut and body punch buttons are swapped for southpaw boxers, and swap in real-time if you change you stance. 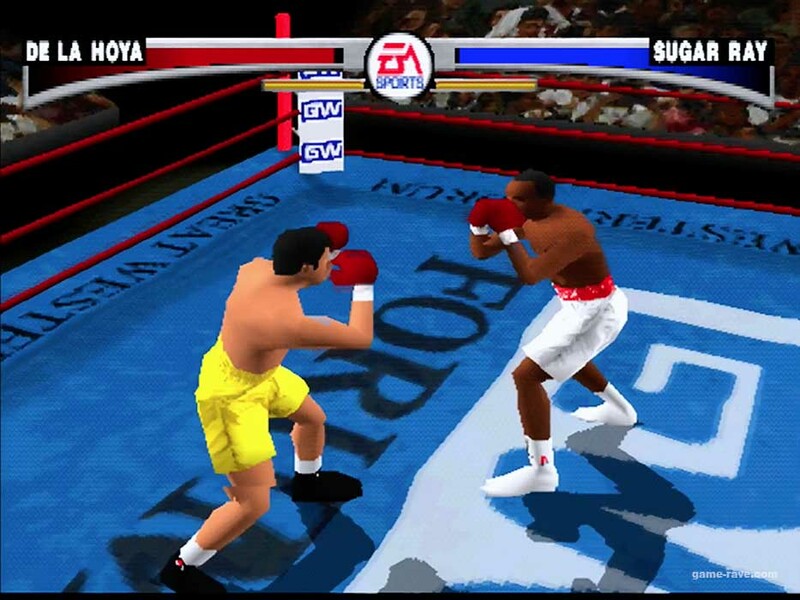 Nothing says confusing like trying to remember which way I’m standing while looking at the health meter to see if the punch I thought I was throwing even hit. It’s not the end of the world, but in later fights I found myself really wishing the response was faster. In the end, it’s another PlayStation game finished and ready for it’s Game-Rave review score. 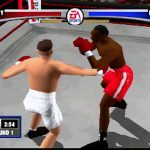 In modern times, Knockout King’s sluggish controls can be forgiven for the creative career mode and ability to pit custom boxers against friends. While the latter would hardly be used in the present day, the former can not be denied. 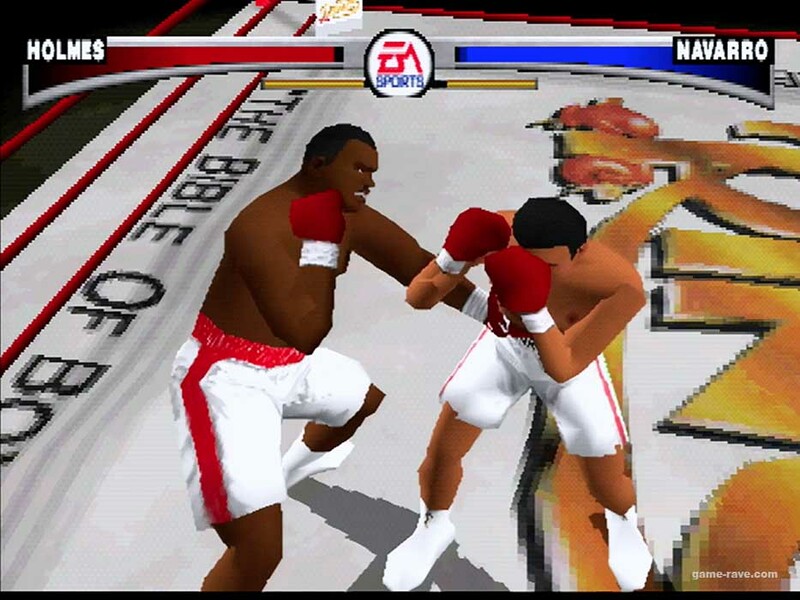 If a lack of boxing games in the monthly feed is annoying, give Knockout Kings a shot. Just keep it above the belt. Facial damage is surprising and really well done. 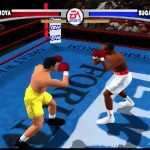 Controls are sluggish, especially in stance changing. 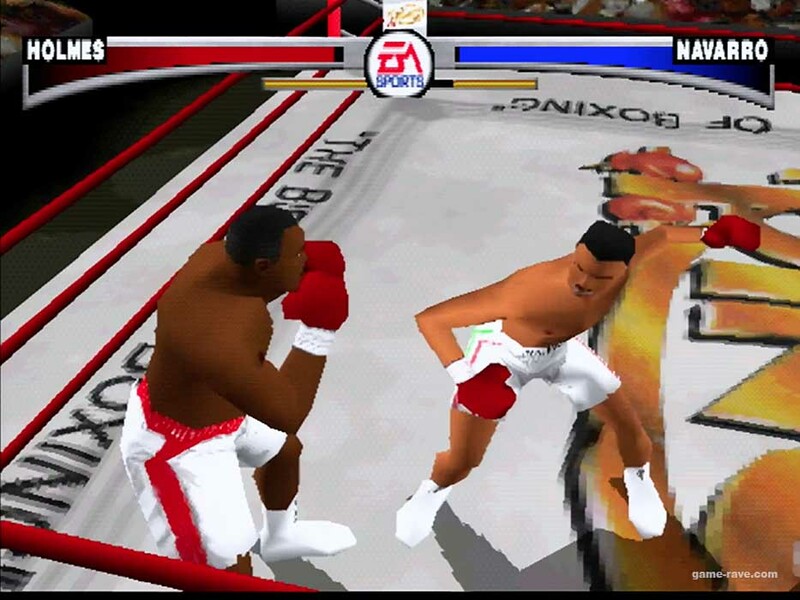 The non-real NPC boxers can look exactly alike in the portrait windows. One or two more rings would have been nice. 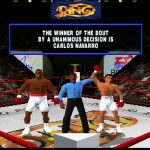 Knockout Kings’ flaws are outmatched by it’s individual successes. 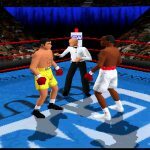 It won’t have the nostalgia of say Punch-Out, but if there’s a need for a easily obtainable boxing game, this fits the bill quite nicely. 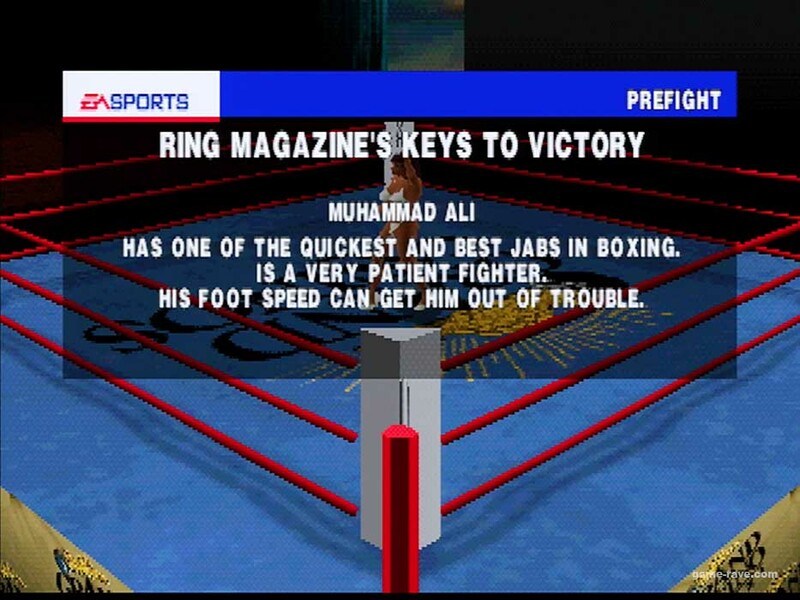 The manual includes a small advertisement for The Ring boxing magazine. 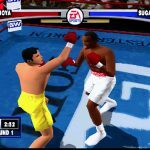 A cheeky little set-up by EA at the 1998 E3 show announced an Exhibition bout between Sugar Ray Leonard and Oscar De La Hoya. 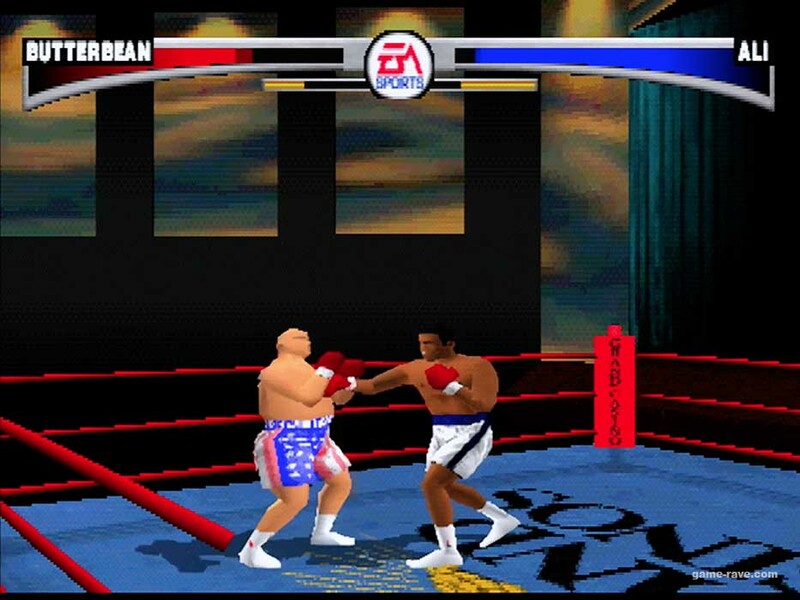 Complete with ring, Mills Lane, and a camera crew, it turned out to just be the two boxers playing Knockout Kings.